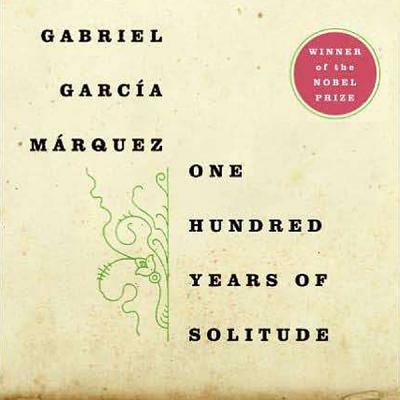 One of the twentieth century's enduring works, One Hundred Years of Solitude is a widely beloved and acclaimed novel known throughout the world and the ultimate achievement in a Nobel Prize-winning career. The novel tells the story of the rise and fall of the mythical town of Macondo through the history of the Buendia family. Rich and brilliant, it is a chronicle of life, death, and the tragicomedy of humankind. In the beautiful, ridiculous, and tawdry story of the Buendia family, one sees all of humanity, just as in the history, myths, growth, and decay of Macondo, one sees all of Latin America. Love and lust, war and revolution, riches and poverty, youth and senility, the variety of life, the endlessness of death, the search for peace and truth--these universal themes dominate the novel. Alternately reverential and comical, One Hundred Years of Solitude weaves the political, personal, and spiritual to bring a new consciousness to storytelling. Translated into dozens of languages, this stunning work is no less than an account of the history of the human race.Visit http: //www.blackstoneaudio.com/docs/Family_Tree.pdf to access a bonus PDF with a family tree.